Pro-choice activists marched from Brisbane’s city hall to the state parliament building this week in support of the Termination of Pregnancy Bill 2018, which would decriminalise abortion in Queensland. The Bill, which is based on a review of current legislation from the Queensland Law Reform Commission, repeals sections of the Queensland Criminal Code that currently make pregnancy terminations a crime. Attorney-General Yvette D’Ath said in a statement last month that this would mean abortion would be treated as a health issue. “The Palaszczuk Government is proud to introduce this Bill today, delivering on our election commitment to modernise and clarify the laws so that the issue is no longer treated as a crime, but as a health issue,” Mrs D’Ath said in the statement. “These are significant and historic reforms to bring Queensland’s laws into the 21st century, and provide clarity and certainty for women, health professionals, and the community,” the statement said. Terminations are already legal in Queensland if a doctor agrees that giving birth would harm the physical or mental health of the mother. However, activist Priya De said these provisions did not go far enough because they did not give women the freedom of choice. “In Queensland today there are some provisions when women can access abortion and that’s if doctors deem that a woman’s health will be danger if she doesn’t get an abortion,” Ms De said. “So this means that in the final instance it’s not women who get to choose what they do with their bodies, it’s in the hands of a third party,” she said. Ms De also said the existing legislation made terminations expensive and inaccessible, and could lead to self-harm. “The question of full reproductive rights, though, won’t end with decriminalising abortion, because at the moment abortions are expensive; it can cost women anywhere between $250 and $4,000 just to get the procedure,” she said. “And it’s also inaccessible, so if you’re a woman who lives in regional Queensland there are only two abortion providers outside of the Brisbane region,” Ms De said. “So you’d have to travel thousands of kilometres and fork out thousands of dollars just to get an abortion,” she said. 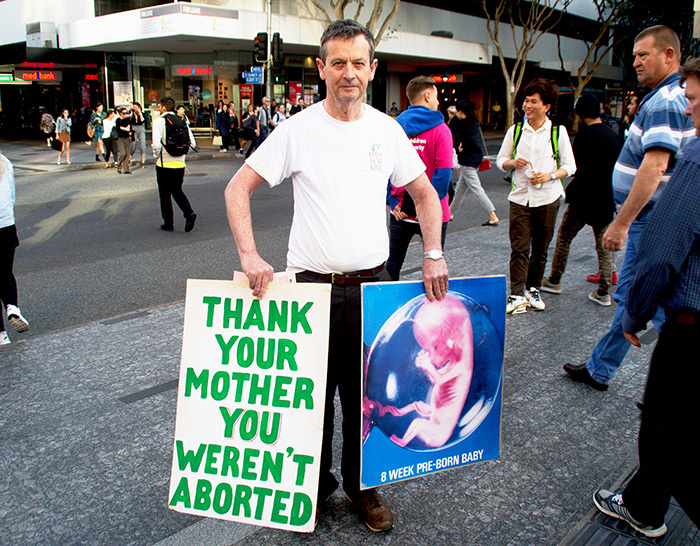 On the fringe of the march, seven pro-life activists, most of whom were male, held placards that read “thank your mother you weren’t aborted”, accompanied by an image they purported to be of the corpses of aborted children. 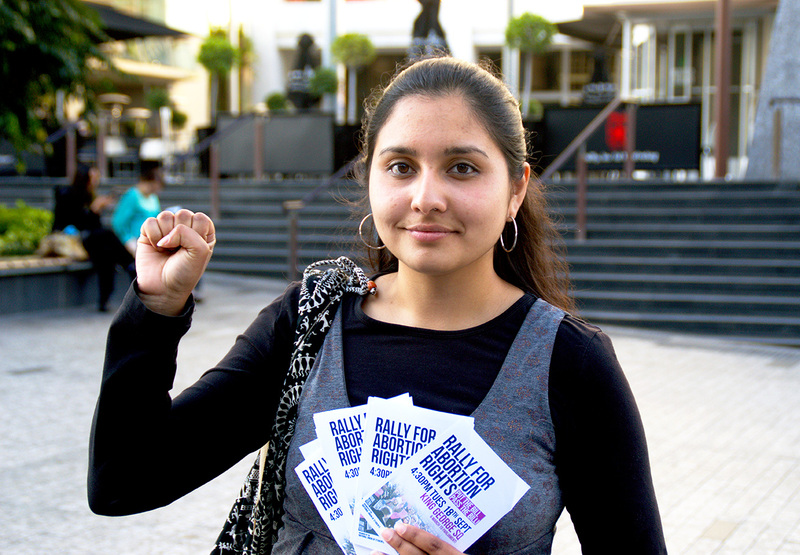 A pro-choice activist approached one of the men and asked where the images were from, and was told they came from “the University of New South Wales embryology department”. 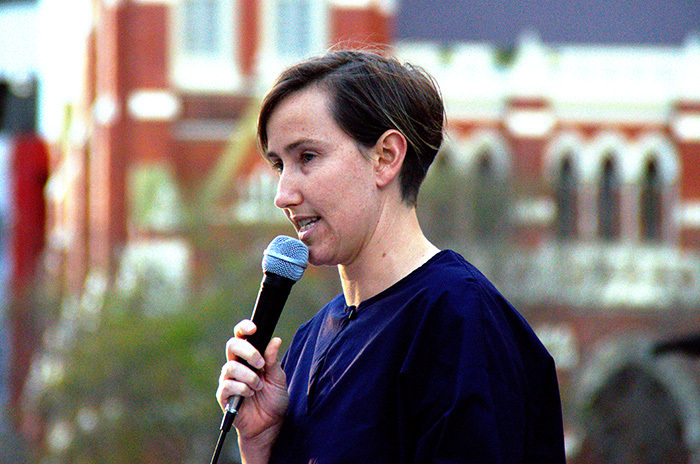 Resident medical officer in obstetrics and gynaecology at the Royal Brisbane Hospital, Rebecca Leeks, addressed the march and said the current system, which limits access to abortion, was unsafe. “Abortion-related deaths are more common in countries with more restrictive abortion laws… of the 40 to 50 million abortions that occur each year around the world, nearly half of these abortions are unsafe, leading to approximately 50,000 deaths per year and five million women being admitted to hospital,” Dr Leeks said. “The World Health Organisation has concluded that almost every abortion’s death and disability could be prevented through… legal abortion,” she said. “For years and years evidence has shown that criminalising abortion does not prevent abortion but instead drives women to seek illegal and unsafe methods,” Dr Leeks said. A spokesperson for Pro-life activist group Cherish Life said the group believed the Termination of Pregnancy Bill 2018 would lead to late term abortions. “It was very concerning that the committee seemed unaware of the evidence provided in our submission about the increase in late-term abortions in Victoria since the passing of the Abortion Law Reform Act in 2008, which decriminalised abortion in Victoria,” Cherish Life spokesperson Teeshan Johnson said in a statement on Monday. “There was an average increase of 98 late-term abortions per year in Victoria since decriminalisation of abortion in late 2008 – a 38 per cent jump,” she said in the statement. “Since Jackie Trad’s Bill is almost a mirror image of the (current) Victorian law, this is an extremely important warning for Queensland,” Ms Johnson said. However, information from Women’s Health Victoria suggests that less than 1 per cent of all abortions performed in Australia occur after 20 weeks gestation, and information from Family Planning Victoria suggests the rate of abortion is actually going down. 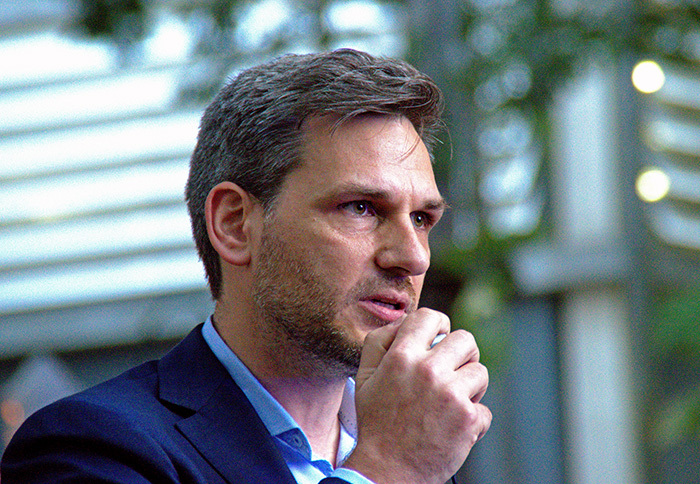 Queensland Greens MP Michael Berkman challenged pro-life activists at the march and said the decriminalisation of abortion was inevitable. “Now I do quite firmly believe that this change is inevitable, is going to happen, the real question is how long we have to wait?” Mr Berkman said. “How long do we have to wait for these barriers to health services to be brought down, how long do we have to wait for people’s conduct, for their basic decisions everyday to be taken out of the realm of criminal conduct?” he said. At the end of the march activists tied purple ribbons with pro-choice messages on them to the gates of Parliament House.